The holidays are here and you are itching to entertain friends and family; but, you are not in the mood for a big party or one that lasts for hours. Consider a simple, but short cocktail and hors d’oeuvres gathering for an hour or two. Everyone is busy with multiple parties, so begin the party at six and end it at eight. Your guests still have their evening open. The following are some interesting suggestions for what to serve? 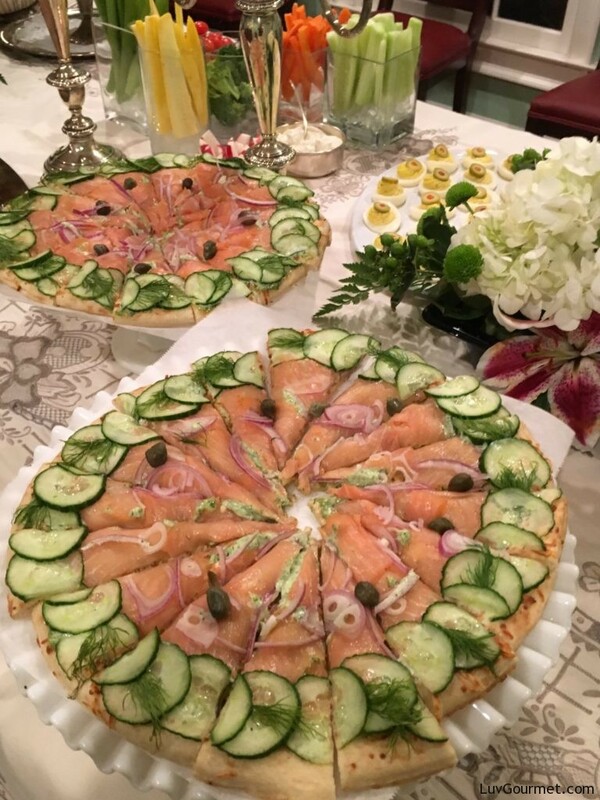 Start with a smoked salmon pizza. Try this different and delicious alternative when serving smoked salmon. 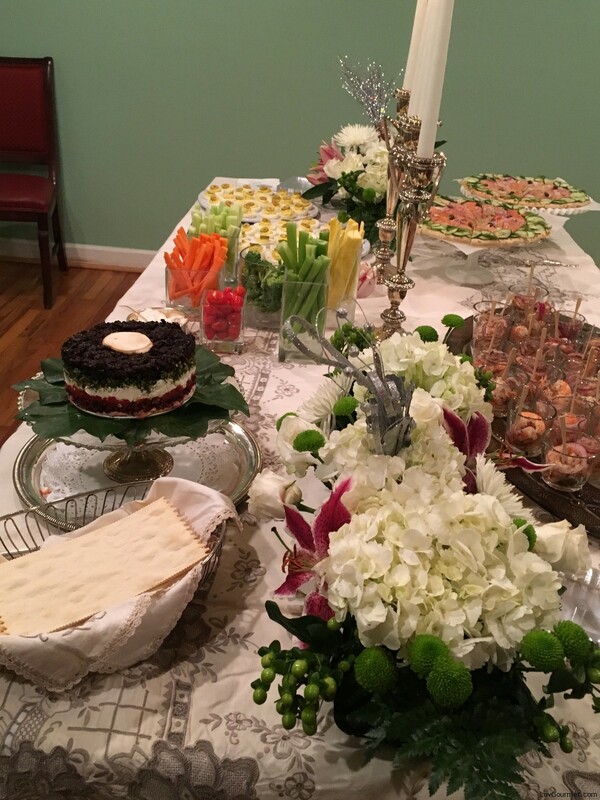 Add deviled eggs to the table, a vegetable crudites and dip, a Mediterranean Cheese Tort, and Marinated Shrimp. For cocktails always have a good Chardonnay or Pinot Grigio on hand. For those looking for something a wee bit stronger , it is always smart to stock the ingredients for a Sweet Old Fashion or my favorite drink, the Sazarac. Remember presentation and eye appeal is very important! I love smoked salmon and sometimes I just lay it on a tray with rye slices, creme fraiche, diced onions, capers, and egg whites and crumbled yokes. But other times I like to make a salmon pizza which is different, tasty and appealing in presentation. Chop dill and mix with mayonnaise. Randomly place thinly sliced red onion and dot with capers. Place additional dill springs between every other cucumber as garnish. Cut pizza to desired portions.